This course, one of a suite of digital media courses, enables you to study professional digital media practice in a microstudio environment with a focus on the design skills necessary for the field of games development. Through a student-centred project-based curriculum, you work as a games designer to develop your specialist skills while working as part of an interdisciplinary team with students from across the full programme. This course has been developed in consultation with our industry panel, and we are an educational partner of Sony Interactive Entertainment through PlayStation First. We are also an active member of TIGA, the games industry's representative body. This course has been designed to utilise the best digital media expertise and resources from across the University, and will prepare you for employment in the digital media industry, where teams of specialists work together to develop and author innovative digital media projects. You will design and create computer games, alone and in teams, using industry-standard production management tools and techniques that stimulate a professional environment of collaboration to deliver a product on time. You will also develop vertical-slice prototypes using new technologies, such as virtual and augmented reality, and will learn how to present yourself to potential employers through your professional presence and portfolio. Vertical slices, prototypes, demos, videos, presentations, design documents, essays. Many postgraduate courses at Kingston University allow students to do a 12-month work placement as part of their course. The responsibility for finding the work placement is with the student; we cannot guarantee the work placement, just the opportunity to undertake it. As the work placement is an assessed part of the course, it is covered by a student's tier 4 visa. Invoicing on the placement courses is split into two stages. The standard course fee is payable in year 1 with the placement fee invoiced in year 2. Therefore, students starting in September 2018 would therefore be charged the placement fee of £1,230 in September 2019. Students commencing the course in September 2019 will be invoiced the placement fee in 2020 (provisionally £1,350). This amount will only be charged to your account after you find a placement and are enrolled on the module. You will not be charged this fee if you do not manage to secure a work placement. Find out more about the postgraduate work placement scheme. 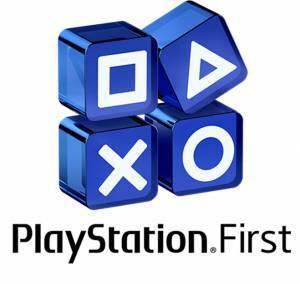 Kingston University is an educational partner of Sony through PlayStation First. Through this partnership you will have the opportunity to learn how to develop games for the PlayStation 4 as part of this course. Please note that this is an indicative list of modules and is not intended as a definitive list. Those listed here may also be a mixture of core and optional modules. Teaching on this course usually takes place in 2 separate specific week blocks (Monday to Friday 9am – 5pm). For further details please contact secpgstudentoffice@kingston.ac.uk. You will work with a multidisciplinary group of students as appropriate for your course (User Experience Design MSc, Game Development (Design) MA, Game Development (Programming) MSc and Computer Animation MA); involved with the digital media production process in response to a project brief developed in consultation with the industry panel and/or research staff. Projects concern contemporary platforms, such as iPhone, Android, Windows, Playstation, Xbox and Next Generation controllers and innovative input devices. You also develop a professional profile (online CV/portfolio) fitting for your role and intended destination which you maintain throughout the course. This flexible module gives each you the chance to develop your unique interpretation of professional practice that captures your specific interests or niche within your course field. Possible specialisms for Games Development (Programming) include: tools and plug ins; pathfinding algorithms; graphics programming; physics; game server backends; traffic/flocking/crowd AI. Possible specialisms for Games Development (Design) include: concepts; mechanics; levels, narrative; gameplay; world and system design; interface and navigation; casual, serious and game studies. Possible specialisms for Computer Animation include: storyboarding; character development; visual narrative; match moving; lighting; art; environments; levels and props; motion capture; rigging; particles, dynamics and fluids; tools and plug ins. This module deals with the game design principles such as narratology versus ludology; interactive fictions; understanding play and engagement; level design and game flow; motivation, jeopardy and reward; to present ideas verbally, on paper and in technical demos, in a range of 2D and 3D graphics and animation packages, with some programming skills at scripting level. Develop and carry out effective and appropriate research and testing methodologies in relation to practice. Apply game theory to practice in such a way as to confidently inform design decision making processes. Use new and existing technologies to enhance the communication of design processes and resolutions. Identify, analyse and critically reflect on game design practices and processes in such a way as to enable the evaluation of career opportunities and individual direction within the gaming industries globally. The Digital Media Final Project, as a capstone project, consolidates the knowledge gained in earlier modules and is informed and supported by prior learning. You will interpret the coursework into a practical solution and demonstrate skills in defining, analysing and developing a substantial solution to an individually defined design related problem. You will utilise an advanced understanding of contemporary digital media practice. The research and documentation of the project is an integral part of the submission; reflecting on the process, as well as the critical analysis and methodology of the research itself. The research will be conceptually integrated within the practical work. Individual project topics are expected to be wide ranging and provide the opportunity to fully investigate a practical situation, underpinned by a critical report on the work produced. Topics must allow the opportunity to position work with respect to business, social and cultural goals and identify and apply appropriate technology as a means of delivery. Critically apply theoretical knowledge of design and evaluate contemporary discourse on the subject. Demonstrate the application of design research methods in formulating concepts and ideas. Originate design propositions through the application of appropriate design ideologies, research principles, methods, materials and technology, forms, means, actions or interventions. Engage in the critical reflection of own work and in peer review related to the development and production of the major project, employing skills of evaluation, contextualisation and communication. Disseminate the research process and outcomes of the final project with appropriate currency and consideration of audience. This module focuses upon user research, participatory design and prototyping for new interaction concepts, particularly those for multi-user or multi-modal interaction with media-rich information sources for personal and ubiquitous computing platforms. The emphasis is upon qualitative insight and creativity for user engagement and persuasion across the end-to-end user journey, particularly in mobile contexts. This module builds on prior competency in using 3D modelling and animation software. It develops your 3D skills further and enables you, by guided self-study, to develop specialisms in areas that affect the look of a scene. That could be a photo realistic look, or a stylised look that aims to promote an emotional response from the viewer. Content will include rendering techniques, illumination techniques and the combination of individual elements by means of compositing. Make assessments of the technical requirements of a shot, to achieve particular look. Successfully composite 3D assets into a live action scene, and composite together elements of a 3D rendered scene. Evaluate the correct techniques required to evoke a particular mood or emotion in a still or moving image. You will have the opportunity to study a foreign language, free of charge, during your time at the University as part of the Kingston Language Scheme. Options currently include: Arabic, French, German, Italian, Japanese, Mandarin, Portuguese, Russian and Spanish. We aim to ensure that all courses and modules advertised are delivered. However in some cases courses and modules may not be offered. For more information about why, and when you can expect to be notified, read our Changes to Academic Provision. *Calls cost 7p per minute from a UK landline plus your phone company's access charge. Calls to this number from mobiles are normally deductible from your inclusive minutes. Did you find what you are looking for? Thank you for your feedback.